How is radiation exposure quantified? The scientific unit for radiation exposure is the sievert (Sν), though several other types of units do exist. The maximum radiation exposure that is allowable for occupational exposure in the U.S. is 50 millisieverts (mSν). For comparison, the average natural background level of exposure is roughly 3 mSν. 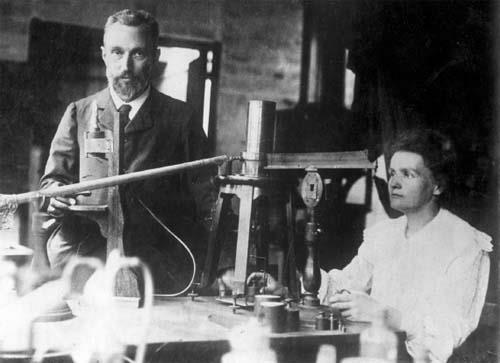 Pierre and Marie Curie working in their laboratory. Marie Curie was the first woman to ever win a Nobel Prize. In fact, she won two of the prestigious prizes. She studied, among other things, radioactive elements and discovered polonium and radium.